Update your classic huggie hoops with this pearl pair! 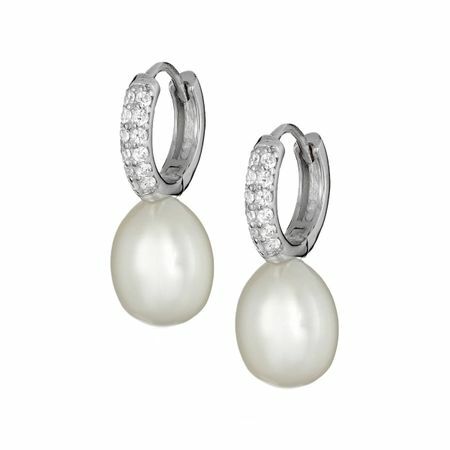 8-9 mm freshwater cultured pearls suspend from petite sterling silver hoops, dotted with round-cut white cubic zirconia for added shine. Hidden snap posts. Pieces measure 1 3/16 by 1/4 inches.